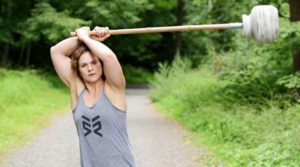 Foundational workshop for the mace and traditional gada as valuable tools of mobility, skill, and strength. From mobility to rotary power, this tool is here to stay. The primary goal of workshop is to create a safe & solid foundation of basic/intermediate mace exercise skills. When utilized efficiently, the mace becomes an extension of the body from the ground, though the body and into the end of the implement . Through regressions & progressions, we will prepare fitness professionals and general users to maximize the value of this ancient tool. Priming the body for mace training by opening the lateral lines while also mobilizing the wrists, shoulders and thoracic spine. Value of the mace through the movement continuum from mobility, stability, strength and power. 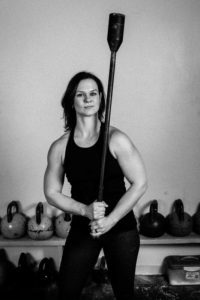 Specific mobility progressions and regressions from body weight, sticks, kettlebells, and the mace for added resistance in various positions. Programming for rehabilitation, injury prevention, skill acquisition, conditioning, and dynamic power training. Explanation, demonstrations and specific value of using of types material (bamboo, PVC, steel) and lever length to create torque.